The "Crash JP Morgan, Buy Silver " internet campaign has been gathering momentum for several months now as individual investors increasingly jump upon the rolling bandwagon by buying a few silver coins. The high profile proponents of the campaign include Max Keiser, Mike Maloney and Alex Jones amongst many others. Whilst they are correct in identifying JP Morgan as being the worlds largest market manipulator that continious to leech the life blood out of the US Economy via the corrupt institution that is the U.S. Federal Reserve Bank that literally makes unlimited funds available at JPMorgans disposal. And as Charles and Camilla experienced in London last night, NO ONE will escape the consequences of financial armageddon and the breakdown of society. 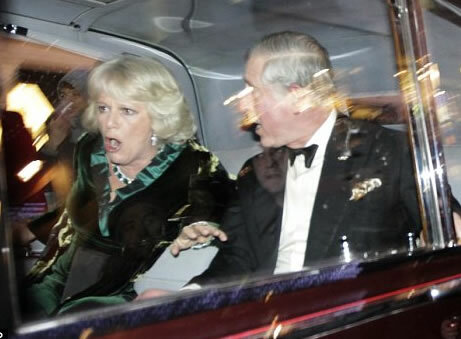 A rampaging mob in central London who call themselves students attacked Charles and Camilla's car with cry's of "Off with their heads". The 'students' should consider themselves lucky that they did not get a bullet in the head from the armed police in the car with the couple. My next in depth analysis / newsletter will evaluate the prospects for the Russian stock market during 2011, to receive this and all analysis and forecasts in your email in box ensure you are subscribed to my ALWAYS FREE Newsletter. In your estimation, is silver still targeting the $23 range? I banked my silver profits. I was of the understanding that the new Volcker Rule prevented US banks from any prop trading and a huge naked short in silver on JPM's own account would surely be a violation of that? I imagine they may have numerous clients for whom they are holding large silver short positions but that wouldn't be their liability. Perhaps it's the US Fed who according to the "Crash JPM silver $500" campaign have been funding this all so the consequence of the campaign would be to bankrupt the Fed not JPM. What do you think? Still keep the target for USD to 74 by Feb. next year? If USD drops to 74, shouldn't Gold , Silver, general stocks rock much higher than current level? I haven't commented for a couple of months. Search for "shelbymoore3". Make sure you read my quotes of the SLV prospectus, as it allows JP Morgan to settle in fiat instead of silver, irregardless of whether the auditor says physical silver is in their vault. I also helped to explain the BIS report, as originally reported by Jason Hommel. Wayat is correct that we can't take down JPM without taking down the entire corrupt financial system. But that is exactly what we need to do. Of course most will disagree, because they want the slavery system. Nadeem will argue that we can trade around the slavery outcome. Sorry with all due respect Nadeem, you either exit the King's harlot system or you end up in total slavery. The end time will have you connected to machine paying in your own blood. Digital currency is almost ubiquitous now. We are getting close, just need to bring the developing world into the debt slave system of the west. Maybe in our lifetimes. 13 Dec 10, 23:20 What is the price of NOT crashing JP Morgan? I'm afraid I agree with Shelby Moore. What is the price of NOT crashing JP Morgan? More of the same, I suspect. I am truly weary of all these paid-for politicians telling me how they saved the world by bailing these banks out. If you truly believe in free market capitalism (and I guess no one says you do) then where is your confidence in the self-correcting nature of free markets? This sort of fear-mongering is the sort of thinking that has kept tyrants in power since time immemorial. Give me the financial collapse, please, and also the much better world that will follow the failure of all those who were "too big to fail". 19 Dec 10, 11:38 What about the inflation megatrend? You wrote: "Silver has always been very volatile, so investors / traders need to be very nimble footed to ensure that they do not give up their gains, as at the end of the day the only thing that counts is banked profits." I must ask, what about the inflation mega-trend? Are you telling me you are accumulating profits in what you yourself have identified as a rapidly depreciating asset? I thought you were a long-term thinker. You should be accumulating profits in silver and other tangibles. What I should be doing is to bank profits as that is the primary objective of trading and investing, and NOT getting married to investments, especially as my portfolio is commodities heavy. What's real inflation 5% ? 6% ? How much is silver up over the year? 80%? silver. My portfolio is also very commodities heavy. you changed your opinion on that. 22 Dec 10, 06:00 Sell silver at $45? I will not sell this trend in motion, until the trend has topped. Good to see some people selling this minor correction, so that means we are not near the top yet. only thing that counts is banked profits. If it peaks at $39, I can still sell at $30 and bank more profit than you did if you sold at $29. We are walking into the early stage of interest rate hikes, that is when precious metals usually blast off, because the central banks are always behind the curve on inflation. Oil hasn't even eclipsed its former high yet, Copper is barel back above it. Gold already topped its 1980 high and silver not even close yet. We are in the thick of the inflation result from the prior QE, why jump ship just when it is getting rolling? Sure we might get a correct back to $26 or so, before we go higher than $30, so you might bank a bit of profit if you re-enter at $26, but I am staying with the Inflation MEGA TREND. 22 Dec 10, 14:46 5% inflation is backward looking? With commodities going bezerk, you think 5% is the true inflation going forward when that feeds through the supply chain? Precious metals are forward indicators typically. You think with $trillions in QE already completed and feeding through that we are not going to significantly eclipse the prior highs for commodities? Specifically was China's massive simulust and credit expansion for capital spending expansion which is heavily weighted into commodities demand. My target for Silver for 2010 was $29 (Inflation Mega-trend ebook), I will look at silver again when I do a gold price forecast for 2011 in a few weeks time. China can not escape from negative real interest rates without an implosion of the global economy!! Chinese have no place to put their money but the real estate bubble or precious metals. It is to the moon or bust!!!!!!!!!! Bust now? I don't think so. Not yet. "The three RRR increases since mid-November will drain a combined 1-trillion yuan ($150-Billion) from the banking system. Yet at the same time, the PBoC is injecting vast quantities of yuan into the foreign exchange market, as part of its effort to rig the value of the yuan against the US-dollar. In November, the PBoC injected 320-billion yuan ($48-billion) into the foreign exchange market, after injecting 519-billion yuan in October. Thus, hiking bank’s RRR to 19% has mostly been used as a tool to sterilize the central bank’s injection of yuan into the FX market. China’s M2 money supply rose to a record 71-trillion yuan in November, standing +19.5% higher than a year earlier, and leaving its citizens shuddering in fear of a rapid loss of purchasing power. For Chinese citizens who seek safety for their hard earned savings, one-year deposit rates at China’s major banks are offered at a paltry 2.50%"
"The Fed’s QE-2 injections are providing high-octane fuel for the “Commodity Super Cycle” and steamrolling China’s efforts to combat inflation. The soaring costs of a wide range of commodities, from cotton, copper, crude oil, iron-ore, nickel, rubber, corn, rice, and soybeans, could spread to other sectors, and eventually saddle China’s economy with double-digit inflation rates." "Beijing is caught in between a “rock and a hard place.” Beijing understands that if it allows the yuan to strengthen further against the US-dollar, to artificially lower the cost of imported commodities, that base metal and crude oil dealers could seize upon the move to jack-up commodity prices, given China’s increased purchasing power. There’s also lingering doubt whether unilateral PBoC rate hikes could derail the powerful “Commodity Super Cycle,” without the joint support of other key central banks, willing to tighten their monetary policies in tandem." "The Gold market has been tracking the growth of China’s foreign currency stash for several years. Bullion dealers reckon that at some point in time, Beijing would see the light, and realize that its massive holdings of fiat paper money would eventually revert to its intrinsic value – Zero. Perhaps, in 2011, Beijing would clandestinely boost its dosage of precious metals, and start selling-off large chunks of British gilts, and Japanese and US-government bonds. A portfolio shift might already be underway. China imported 210-tons of gold in the first 10-months of this year, a fivefold increase compared with the same period in 2009, - Xinhua reported." "So far, the PBoC is enforcing negative real interest rates, - discounted for inflation, to discourage a torrent of “hot money” from abroad from flocking into the Chinese yuan [...] By failing to close the gap between interest rates and inflation, the Chinese central bank flashed a green light to traders to resume buying commodities, and precious metals." Wages in the developing world will continue to track the rise in the silver price, until a silver dime is the wage every where in the world (2000 year history of one silver dime, 6 grams, as a daily wage). Period. Asia is siphoning the capital out of the west, this is causing massive inflation in Asia. The real estate bubble in China (and else where) is because real estate is being developed faster than wages can rise, which is primarily because the price of silver is being suppressed by the fiat masters. Silver must rise in purchasing power parity, whether it means housing prices and commodities must fall, or silver price must rise. I lean towards silver must rise in price, which means China will begin to export more of its inflation to the rest of the developing world. You heard here first folks.